Learn how to make a twist & turn pop up homemade birthday card gradually in this card making tutorial by Artsy Fartsy. It's a very distinct style of card that will surely like by your loved one. 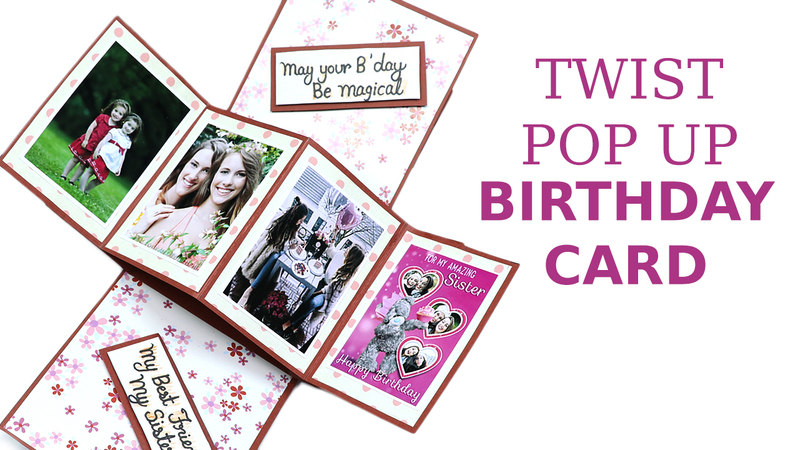 Our Artsy Fartsy tutorial will display you how to make a unique twist and pop up birthday card with this DIY card making tutorial. It is one of the best handmade twist card.